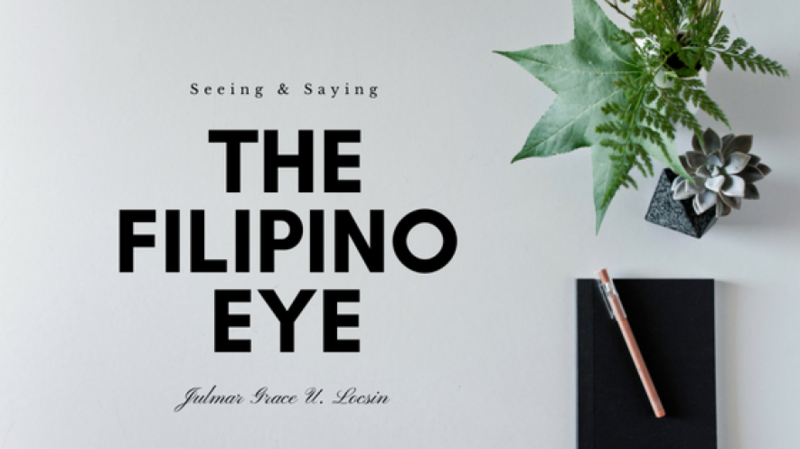 ← The Philippines Born Again under Duterte Administration? Imagine the trauma… My husband is in his prime and our kids are still young. I couldn’t stop crying the first night we were in the hospital. Thoughts of death and being a widow at an early age flooded me. Fear gripped my heart on how will I raise my kids alone if Jay dies. My heart bled on the possibility of losing the love of my life this early. I had all these thoughts agonizing my being but as the same time I had to be strong for Jay and those who love us. Thus, I rarely shed tears. Despite the emotional wreck inside, I had to push it aside and face the dilemma face on. It was only the hope we have in Christ that held us altogether. When you’re young and full on dreams, and the doctors will give your spouse that medical impression, your world will just crumble down. No amount of Christian maturity, training and healing experience can pacify the pain and fear of the unknown when you’re in that type of situation. The devils are so real. We can literally feel their presence in the room. Especially after the doctors would come and tell you how your husband’s body is “dying” and needed immediate attention. It was a haunting feeling surpassing our faith. Despite being Christians and ministers for years, we were shaken. We had to hold on to Hope and believe despite the torment we were feeling inside. The battle to stay in His shalom was real. We had to fight and establish ourselves in His word. We had to reflect on God’s destiny and call in our lives. We had to recall on the times He spoke over us through personal prophecy, dreams and visions. We had to remind ourselves on His love. We had to constantly create an atmosphere on hope. We had to fight. We had to believe. Yes our years in church and ministry told us that God is love and that He will never leave us and forsake us. But one will never know the reality of these truths until that person gets to apply them. Being in that situation ourselves, we have proven that Jesus is real! His power is real. His blood works. The finish work of the cross gives life. We faced the temptation of giving up countless of times. It was good when people are around to pray and encourage us; the faith level is high. But where we’re alone, demons would start creeping in again to shake your stability in the Lord. The lies would start again. One should really fight for that Peace to live in it no matter what. It was in these moments however that we have proven God’s power. Because to be honest, we found ourselves failing a couple of times. It is only of His grace that we made it this far. He alone deserves all the glory and honor. There was a change in the doctors impression. Before the impression was “Anemia secondary to Chronic Kidney Disease” and recently it was changed to “Acute Kidney Injury secondary to rapidly progressive Glomerulonephritis”. The last Nephrologist said that his kidneys shrank. Our recent Nephrologist said, both are in normal size. It’s just inflamed. Most of the CKD patients have constant or growing creatinine count even after doing dialysis sessions. Jay’s count is decreasing! It has gone from 1588 to 733 after 7 sessions. The Lord has provided everything that we’re able to pay hospital bills, treatments, supplements, house bills, and medications. Money came from friends and even those we don’t have previous relationships. People prayed both here and abroad. Charity events were made. Offerings were given. Tears were shed. All of which we’re very grateful of. This edified us knowing that we have a big family behind our back. The feeling is overwhelming. We are constantly brought to tears when we see His goodness in our lives in this situation. What the devil schemed as hell turned out to be a bright display of His power in and through our lives. Aside from learning that His power is manifested not because of what we do but because of who He is, we also learned these practical steps that we’ve like to share with you so you too can learn from this situation. Prioritize health. Jay’s lifestyle growing up wasn’t wise. He ate mostly processed foods (hotdogs, canned goods, chips) and loved vinegar and sour fruits. He also started staying up late at night at a young age. This all the more worsen when he worked night shift for years. He did not drink as much water as he needed but focused more on coffee and soda.So eat healthy and organic food. Sleep at least 8 hours a day at night. This is the time when our immune system can rebuild and fight for our body. Exercise and drink lots of water too! Limit fitness supplements intake. Jay remembered that few years back, he feasted on protein and creatinine drinks for fast muscle building. Take care of insurances. We stopped paying our health care, and other insurances because we did not feel like we needed it. Because of that mistake, we paid huge amounts of hospital bills. Thank God for His grace and provision. Treasure moments. Life is but a mist. Make sure you value relationships around you all the time. Choose a life with Jesus now. Being saved gave us an assurance that no matter what will happen, we will spend eternity with Jesus. But whether that time comes soon or not, we are also secure that He will take care of us in whatever situation we face. He is there to provide, heal and strengthen. He will never leave and forsake. He is there to always guide, even in the valley of the shadows of death! I am blessed..I realized lots of things.. I hope and pray for kuys jays fast recovery..
We oftentimes forget and take God’s promises in time of abundance and peace. In a way, we limit our growth and tend to have shallow relationship with God. I’m not saying that only in times of trials and difficulty that we grow and learn. Your testimony goes to show that these are nothing but a catalyst for us to grow in our dependence to God, grow in trusting Him in life’s darkest moments. It is is in these times when we experience grace, love and peace like we never had before. Thank you for sharing this precious moment. Thank you for being a witness of our Lord and Savior’s magnanimous grace and love for us. Agree. Excited for what’s in store for us in this season. Very inspiring and educational at the same time. God bless your family! Will be praying for jay’s full recovery.